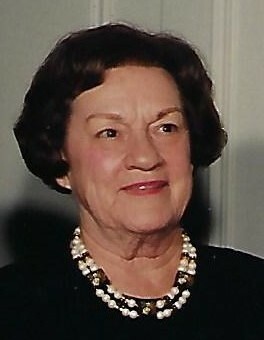 Marie F. Fitzpatrick, 98, of Scituate, MA passed away peacefully on Monday January 21st, 2019 surrounded by her loving family. She was the daughter of the late Marion and James Fitzpatrick of Watertown; and sister of Eugene Fitzpatrick of Falmouth, ME; predeceased by brothers James, John, and Paul Fitzpatrick, and sister Kathryn Fitzpatrick. Marie graduated from Notre Dame Academy of Boston ‘38, and Leslie University ‘42. From 1944 until 1988, Marie taught primary school to hundreds of young Boston area students, many of whom remained in contact with her even after her retirement. She was a well-respected primary school teacher at Rivers Country Day School in Chestnut Hill, MA for 20 years, as well as head of their summer camp for girls. Subsequently, she was a dedicated, long time teacher at the Dexter School in Brookline for 24 years, from 1964 until her retirement in 1988. Marie is survived by many nieces and nephews, grand nieces and nephews, and great grand nieces and nephews. Family and friends are invited to celebrate Marie’s life during visiting hours on Friday, January 25, 2019 from 4-7 pm in McNamara-Sparrell Funeral Home, 160 So. Main St. (across from St. Anthony Church), Cohasset. A Mass of Christian Burial will be celebrated on Saturday, January 26, 2019 at 10 am in St. Anthony Church, Cohasset. In lieu of flowers, donations in memory of Marie Fitzpatrick may be made to Dexter Southfield School, 20 Newton Street, Brookline, MA 02445.